You are buying your second home, but need the proceeds from the sale of your current home to do so. Yikes! How is this possible?? Let’s just break down the tasks. First, you need to get your current home in top notch shape to sell. You know the drill: de-clutter, update, remove buyer’s objections, landscape, stage, prepare for fabulous photographs to advertise your home for sale on the internet. It’s never easy preparing your home for sale, but the hard work done in advance will almost always result in a quick and more prosperous sale. So, roll up your sleeves and get to work! In the midst of all this, get in touch with your favorite Lender and discuss how much money you can afford to spend on your new or second home. Your Realtor® should have given you a good idea of what you can sell your first home for and the amount you should net from that sale after your mortgage is paid off. Hopefully that is where you will get the funds for the down-payment and closing costs on your second home. Once your home is ready to go on the market, it’s time to shop. Your Realtor® can set up a search with your criteria and you can shop from the comfort of your home, viewing photos and virtual tours of prospective homes. If you are planning to buy in the same town, you probably already have a good idea of the neighborhood and type of home you are looking for. It’s okay to shop a bit while you are preparing your home for sale - when you see a home that you really love, that will motivate you to get your home ready to sell. However, DON’T shop until you know the amount you can spend - it’s no fun to fall in love with a $400,000 home, only to find out you shouldn’t spend more than $375,000! Ideally, you and your Realtor® will shop for your second home while cooperating Realtors are showing your home for sale. Your goal will be to narrow down your list of favorites to at least 2-3 homes. Once an offer is accepted on your home for sale, you will prepare an offer on your new home CONTINGENT upon the successful closing of your home for sale. If you are in a Seller’s market (read Rich Cederberg’s detailed explanation of a Seller’s market), you are going to need to write a strong and ATTRACTIVE offer. In addition to your offer, you will need to provide the contract on your home for sale AND your Buyer’s preapproval documentation. Once your offer on your second home is accepted, you will proceed with inspections and providing documentation to your Lender. And back at the ranch . . . your Buyer will be conducting inspections on your home for sale, you’ll be making requested repairs AND you’ll be packing. A lot of work will be going on simultaneously! When the final day of closing is here, you will close on your home for sale in the morning and close on your purchase that afternoon. Yes, you will have to have your home for sale cleared out when you hand the keys over to your buyers, so you may have to pay a little extra to the movers. This is what we refer to as “domino closings” because if the closing on your sale is delayed, that obviously will delay the closing on your purchase. It’s especially important that you have representation of a professional Realtor® who will coordinate with Lenders and the Title companies involved to ensure that all is on track. Summary: 1. Prepare your home for sale and get it on the market 2. Contact your Lender to see how much you can spend on second home 3. Shop! 4. Conduct inspections on new home while making repairs on home you are selling; keep packing! 5. CLOSE ON BOTH PROPERTIES! This may seem like a daunting task, but it’s done every day. Make sure you have an experienced Realtor® guiding you through the process. And enjoy your new home! If I can help you purchase your second home while selling your current home, give me a call! 918-852-5036 Content written and published by Lori Cain. 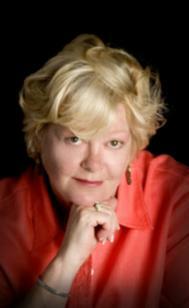 Lori Cain is a residential Realtor with eXp Realty serving the greater Tulsa Oklahoma area. Call 918-852-5036. eXp Realty is the Agent-Owned Cloud Brokerage®! Please visit my web site if you are shopping for Tulsa homes for sale or call 918-852-5036 for more information about Midtown Tulsa Real Estate. In addition to my advanced grasp of the internet to market your Tulsa home for sale, I include a home staging consultation with every listing AND professional photography - at no aditional cost to you! Lori is a residential Realtor with eXp Realty serving the greater Tulsa area and specializing in downtown Tulsa and midtown Tulsa real estate. Tips for Home Sellers - prepare for showings!